Our annual high school musical is one of the highlights of our school year. These high-caliber productions are well-attended, professionally produced, and highly entertaining! 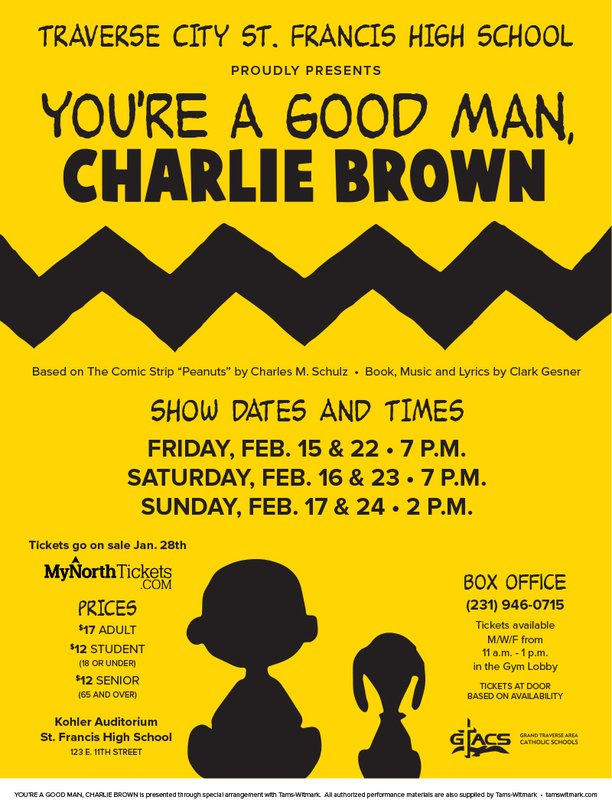 This year’s musical is You’re A Good Man, Charlie Brown. Tickets go on sale January 28, 2019. Admission is $17 for adults, and $12 for seniors (65 and +) or students (18 and under). Tickets are available in the box office, Monday, Wednesday or Friday from 11 am – 1 pm in the gym lobby. The box office phone number is (231) 946-0715. Tickets will also be available at MyNorthTickets.com. Tickets will be available at the door, based on availability.